Most fancy. Keep your eyes peeled for some secret sauce that will start here and end at blip, and vice versa. Woo hoo! 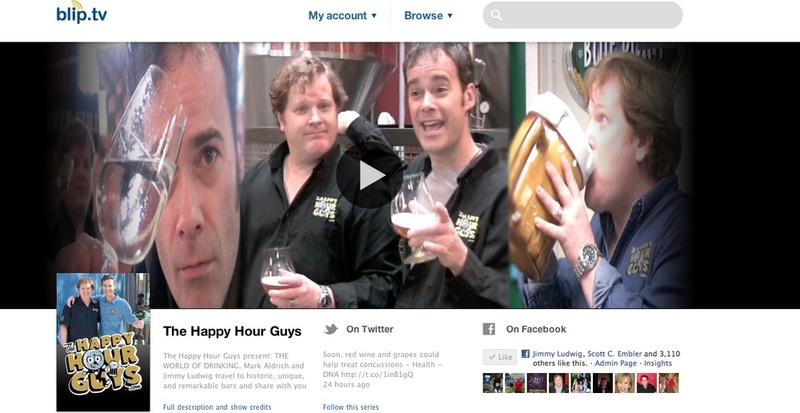 The Happy Hour Guys just added another channel to our lineup in the online video community - the newest addition? BLIP.TV! We love their player and, as you might have noticed, have added it to the site (bye-bye, YouTube)! We love their tracking abilities, and well, we can make a few dollars with them to offset some of our bandwidth costs. As always, we couldn’t do it without you. Now, there are even more places to find us. Woo hoo! And of course, we have our own Web TV Channel with them - http://happyhourguys.blip.tv/. Don’t censor. Tell everyone you know! Cheers!